Back again and I've been a bit busy but presenting one of my pieces from AudioBoots' Summer Booty 2017 compilation with this one having Jonathan Davis jamming to one of Bruno Mars' recent hits. This one is a updated version than the one originally released since I made few minor changes here and there so make of that if you will. Now comments and criticism are welcome so enjoy. Last edited by eternalkhaos on Mon Jul 31, 2017 2:14 am, edited 1 time in total. There are definitely some OOK moments in this one, but most of it sounds right, so I suspect the dreaded "5ths issue" haunts this one. MashGyver of HCD can pick these things out rather quickly and accurately. satis5d wrote: There are definitely some OOK moments in this one, but most of it sounds right, so I suspect the dreaded "5ths issue" haunts this one. MashGyver of HCD can pick these things out rather quickly and accurately. It's cool and hopefully, MashGyver or somebody else do give me pointers. However (and this is strange), I submit this track on mashups reddit and it has been getting some praise atm with it being 43 ups and that is more than All-Star Relaxation there... which got no ups and downs so maybe they are fatique on Smash Mouth mashups or something. eternalkhaos wrote: It's cool and hopefully, MashGyver or somebody else do give me pointers. However (and this is strange), I submit this track on mashups reddit and it has been getting some praise atm with it being 43 ups and that is more than All-Star Relaxation there... which got no ups and downs so maybe they are fatique on Smash Mouth mashups or something. I wish I could tell you that there was any rhyme or reason to reddit, but I can’t. What I can tell you is that this combination is hilarious, and I think redditors were pleased with the concept despite it being out of key. For the average listener I think concept and enjoyability trump musicality. 24K is in F minor and Coming Undone is in D minor, which is a bit of a gap, but not insurmountable, depending on what kind of software you have. If you can bring the instrumental down a semitone without destroying it and bring the vocals up 2 semitones without it losing its attitude you’ve got a winner. What are you using, ETK? MashGyver wrote: I wish I could tell you that there was any rhyme or reason to reddit, but I can’t. What I can tell you is that this combination is hilarious, and I think redditors were pleased with the concept despite it being out of key. For the average listener I think concept and enjoyability trump musicality. Nobody can tell because it's Reddit so they can go for pretty much anything despite its flaws. 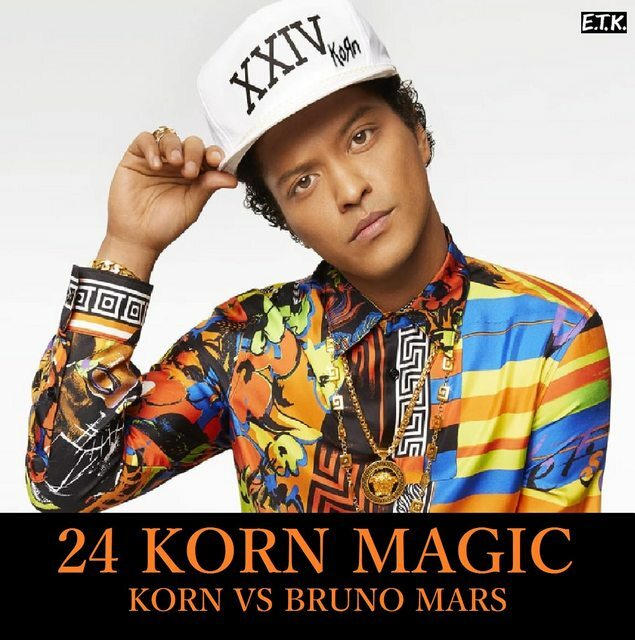 MashGyver wrote: 24K is in F minor and Coming Undone is in D minor, which is a bit of a gap, but not insurmountable, depending on what kind of software you have. If you can bring the instrumental down a semitone without destroying it and bring the vocals up 2 semitones without it losing its attitude you’ve got a winner. What are you using, ETK? Could give it a try when I got back from a friends stayover. Also, the software I'm using is Audacity which I used since I start mashing. I also use Goldwave but barely and at times. It's a 5ths key issue as Mash pointed out. The syncopation is great though. I realize that there aren't many of us out there to sing its praises, but the jump from Audacity (freeware) to Pro Tools | First (also freeware) is huge. For a mashup artist like me, I find it does everything I need it to do to make high-quality mixes. My last 80-or so mashups have been made in PT|First. It does have some crippling limitations, but they can be worked around. Okay, I tried installing both Ableton and ProTools | First and this is something since the first program didn't work out and it's probably the lesser room on my hard drive so I'll get back to that. As for ProTools, there's a iLok.com login issue that I don't know how to solve so will go back to this soon. As for changing semitones part, I used both Audacity and Goldwave for this. Audacity didn't work since the vocal pitch may have made Jonathan Davis sound like a total chipmunk but the instrumentals would have worked. GoldWave however might work so I'll just throw in my v2 mix above so it depends on your taste and criticism on this part.